A half-carat emerald from Randall Glen! We get a lot of serious miners here at Randall Glen, folks who make their own jewelry, and some who even cut their own stones. 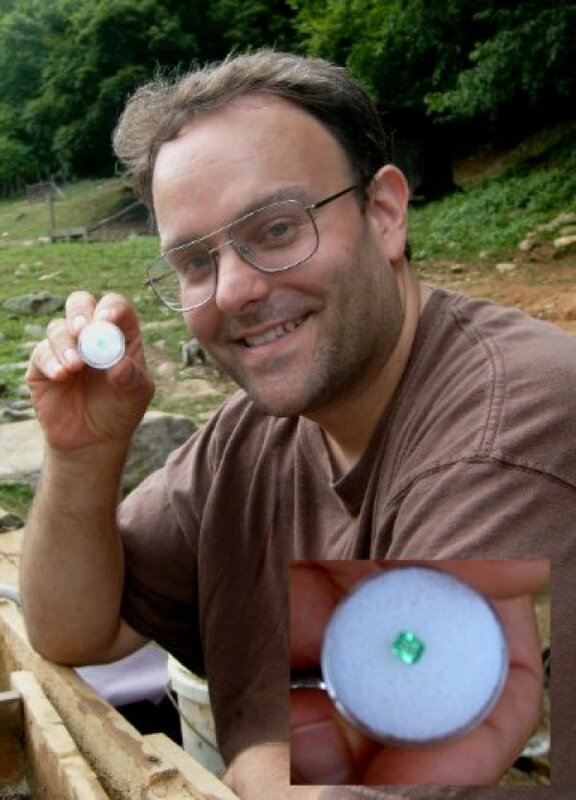 Here’s one of our miners with an emerald he found here and had cut to a beautiful finished half-carat. Another of our regular customers had 2 large rubies cut to produce a 3-carat pendant and a pair of 2-carat earrings. They appraised at $3,000 per finished carat. And when you’re here, if you like big specimen stones ask to see our 600-carat emerald!